Engineers at Canon have created a digital image sensor with a resolution of 120-megapixels, the highest yet managed for a sensor of its size, the company said Tuesday. The sensor is capable of capturing digital images with more than double the resolution of Canon’s current highest-resolution sensor, but don’t look for it in products anytime soon. It was created more for the technical challenge than for upcoming cameras. Image sensors lie at the heart of all digital cameras and are typically a flat piece of silicon on which lie millions of sensor pixels. The number of pixels defines the resolution of the sensor and in turn contributes to the detail of resulting images. 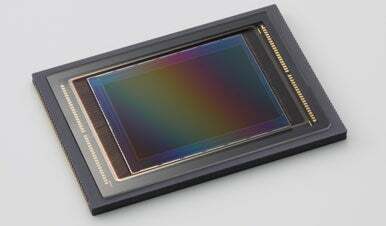 The 120 million pixels in the new Canon sensor can produce images with a resolution of 13,280 pixels by 9,184 pixels. With such high-resolution images it would be possible to zoom and crop parts of the picture while still maintaining a high resolution. If used for video, a portion of the image just one-sixtieth the size of the original could be extracted but still kept at high-definition. But the sensor doesn’t appear destined for products. One of the challenges for such a high-resolution sensor would be processing the massive amount of raw image data that would be output from the sensor each time an image was captured, said Richard Berger, a spokesman for Canon in Tokyo. But while its development might not mean a 120-megapixel camera is around the corner, the sensor will give engineers something to experiment with as they work towards still and video cameras that are capable of capturing higher quality images than is possible today.